Any way you look at it, 2015 has been a rough year so far. The recent deaths of Bob Simon of 60 Minutes and David Carr of the New York Times have come on the heels (no pun intended) of the death of Dean Smith–a renown basketball coach–Ernie Banks, Stuart Scott, and others. The last piece I wrote in this space, a few days ago, was about the passing of Anne Moody, an important figure in the Civil Rights movement. So I’m aware of the toll this year has already taken. I wanted to write this post in response to a tweet sent out by Jake Tapper in response to David Carr’s death. He asked “What the hell are we going to do now?” and the answer to that is very clear. It’s what we always do, as a society. It’s what we will always do, in the face of loss and adversity. We will carry on, inspired by the contributions made by the departed. But we can’t stop, ever, no matter who it is that has fallen. 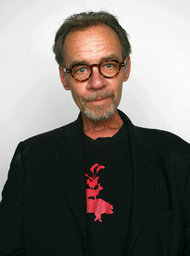 David Carr, like every person who has gone before him, left a legacy behind. Thanks to the internet, anyone who wants to read his legacy can do exactly that. The stories he told, and the engrossing way he told them, are quite remarkable. Anyone who doubts the power of the written word needs to check out some of his stories. His “Me and My Girls” should be required reading for all parents, everywhere. But the point of this piece, which is being written at a time when I should be getting some sleep instead, is to say that we the living need to keep on going. Carr, and the others who have passed, left their mark on us, and we would do well to remember this always. But we must carry on, and strive to create whatever legacy we can for those who will follow in our wake. Not all of us will leave 1,776 pieces for The New York Times behind. But each of us can leave something. What that looks like is up to each of us. So let’s do it.